The paradigm of energy efficiency increase, branded industry 4.0, is accomplished also through the definition of spindle solutions oriented to energy saving: new scenarios at the horizon for machine tool manufacturers, which behold opportunities connected with the eco-design of the spindle subgroup and the advent of innovative direct-drive solutions. Manufacturing represents one of the industrial sectors characterized by a high energy demand: for this reason, national and European institutions, universities, industrial associations, regulatory bodies and companies have started – at different levels and each with its own role – introducing policies, directives and solutions oriented to increase the sector efficiency. 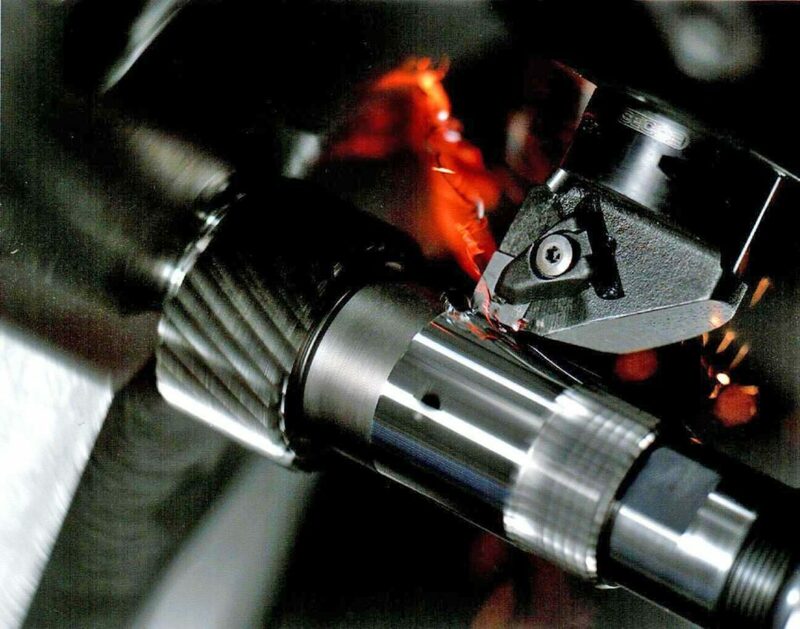 Various studies and works carried out on stock removal machine tools have highlighted how a potential energy saving can be achieved through opportune design choices aimed at the use of more efficient technologies and components and at a better machine use in terms of definition of operating parameters and/or machining strategy. In the specific case, the present article focuses on the aspects of efficiency and energy consumptions of the spindle systems that equip CNC machining centres. The current developments referred to the spindle/electrospindle ambit are mainly aimed at the enhancement of static, dynamic (stability, vibrations, chatter, removal capacity and so on) and productive performances of such machine elements, however paying growing attention to “eco” and energy consumption aspects. It is in fact worth underlining that the spindle, together with the relative auxiliary systems, constitutes one of the main energy-eater machine components in use phase, during the execution of machining processes for the manufacturing of finished products. Spindles are rotary elements generally designed and manufactured for a broad array of machine tools used in several application sectors (aerospace, automotive, etc.) with the general target of maximising the stock removal rate and accuracy, consistently with the existing constraints. Since NC machining centres generally need to execute several machining operations on the same workpiece, the spindle system must be suitably designed for assuring the demanded flexibility level and the desired performances (speed, torque, power and accuracy) within the wide range of admissible operational conditions. Speaking of eco-oriented design of machine tool electrospindles, it is useful to highlight also the potentialities offered by the adoption of specific direct-drive spindles. Relevant example is represented by the result of the pre-competitive research and development activity carried out in the ambit of Erod project, funded by MiSE, with the participation of Milan Polytechnics, the manufacturer of HSD spindles and the manufacturer of machine tools Jobs Spa. Such activity has led to the development of an innovative direct-drive spindle and to the comparison of the latter’s energy performances with those provided by a standard mechanical spindle. The examination is specifically focused on Jobs Jomax 265 machining centre, analysed in terms of energy consumption in two different configurations: with a mechanical spindle typically used in a broad range of machine families by Jobs Spa and with innovative solution of direct-drive spindle opportunely designed. The traditional solution consists of an asynchronous electric motor, Redex Andantex transmission with two speed ranges (direct one and one providing for the spindle speed reduction to 1/5 of the motor rotation one), one chiller for the electric motor cooling and one unit constituted by an oil circulation pump and a second chiller for the relative conditioning. Such mechanical spindle can deliver torque exceeding 1000Nm and perform machining up to 4000rpm. The “innovative” solution is instead composed by a high-efficiency electrospindle intended for multitasking machines, i.e. to be used for performing both high torque/low speed machining and high-speed machining operations. This provides for the replacement of the above-mentioned asynchronous motor with a synchronous motor purposely designed and equipped with electronic speed gear. This solution allows neatly simplifying the system and, compared with the traditional solution adopted as benchmark, only the electric motor chiller is conserved. More in detail, the direct-drive spindle can cover an analogue speed range (max. speed 6000rpm) in virtue of a double configuration of stator windings that can be opportunely selected in relation to the technological requirements of the machining to be carried out. From the point of view of the maximum available torque as well, the performances of the new spindle motor are comparable to the conventional solution’s. From the energy point of view, the direct-drive solution, characterized by a drastic system simplification, aims at decreasing the consumptions connected with the presence of the lubrication system, the conditioning of the speed gear oil and, obviously, at eliminating its losses. On the other hand, however, the synchronous electric motor, having to operate on such a broad speed range, will hardly exhibit high efficiency performance, comparable to the asynchronous solution’s. The interesting design aspect is then the analysis of energy advantages and drawbacks of the two spindle solutions in comparison, targeted to quantifying the energy saving associated to the replacement of the standard spindle with the direct-drive one in a typical day of use of the considered machining centre. The brushless motor used would reach 95% of efficiency close to the high-torque region and lower speeds than defluxion one. The chiller action damages low-torque “zones”: since the majority of the test cycle examined occurs in regions with efficiency in the 20-70% range, the overall efficiency produced is much lower than the theoretical maximum. Hence, we therefore infer an indication for machine tool manufacturers: in designing a machine, it is important to evaluate the spindle system efficiency (with the eventual addition of the chiller and other auxiliaries) compared to the real requirements of the user regarding the machining cycles to be executed, in terms of speed and torque to be delivered. Moreover, it is desirable that the regulation activity concerning the evaluation of the environmental impact of machine tools – promoted by ISO WG12 and, on a national scale, by the relative UNI work group –can lead to standards for the definition of tests of “machine-based” energy measurements, aimed at a characterization, even simplified, of such efficiency maps: the goal is prescribing the execution of measurements that “sample” the efficiency in some reference points.